Flamberge is a tactics RPG with simultaneous turns. Both teams plan out their attacks, and then they execute simultaneously. 590 backers pledged $7,230 to help bring this project to life. We got greenlit! Thanks for all the support! The link below may not be working! A mirror is available here on IndieDB. Anything to say about the demo? Having issues? Give me feedback here! We're on our final backer poll. Thanks for all the support! Costs/Where does the money go? The rest will hopefully keep Ben and I off the streets. That amount could vary, but we don't have a 'goal income' for this project. $1500 may seem like way too little for that, but we also have a bunch of great stretch goals lined up to interest people beyond our initial goal. Flamberge is an RPG at heart. Players will control many different characters with different abilities and strengths. However, the main gameplay feature of the game is simultaneous turns. Players plan out multiple movements and attacks at once, and the turn is resolved at the same time as the enemy. The player must anticipate enemy actions in order to win. Listed below are all planned features for Flamberge to have at release. Multiplayer is in pre-pre-alpha, but it works! The private alpha should begin in November once we've touched it up. A soundtrack to feature 25+ unique pieces by Ben Cohn - preview it below! The concept must not be offensive in nature. In general, no profanity, but feel free to message us about specifics. 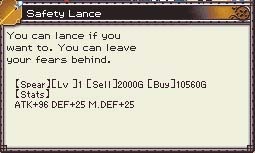 Flamberge will have various equipment, weapons, and consumables for characters to use. Right now, the current plan is for each character to have one weapon slot and one 'equipment' slot for an item with a special effect. Anyway, help us make one! As long as you work with us to make sure it is inconsequential to the world, it is fine. It can even be a joke. 2 to 4 lines of dialogue. They must be human, though we may consider your dog if you really want us to put them in. Same as with the item, their dialogue cannot create issues for our story. You may discuss their clothing with us, but it must fit with their job type, and we will likely make changes to fit the visual theme of the game. However, in the interest of the plot, we will take over creative input on any dialogue involving the character. We may also wish to change the name to suit the style of the game. They must be human, though race doesn't matter. Don't go nuts with hair/eye colors. We'll let you know if it works or not, but generally bright/neon colors are out. We've got big plans! Here's a brief summary of development so far, and some estimates for the future. Concept was created / game began development. Decided to write a story for the game and create premade levels. Making a game is daunting. Thankfully, we haven't started this Kickstarter until we were fully prepared to plan out the rest of development. The amount of content we want to put out by January is very ambitious, but it is completely doable. If the game needs more work, we'll delay it a month or two. I go back to school in January, so beginning then, development will slow down a bit. I believe it'll be 90% done by then, and at the current rate of development, it should be! Love and appreciation, name in credits! All backers of this tier and above will also be able to vote on our stretch goals, as well. You get the digital download of the game when it's finished! You get the finished game digital copy, as well as all alpha builds released over the next few months. You receive the digital download, alpha builds, as well as a digital download of the finished soundtrack when released. Design a unique item! You may contribute an idea or design for a piece of equipment or consumable in the game. You will receive all previous rewards as well. Design an NPC! There are many villagers and civilians in the game with rudimentary dialogue. As long as their design and dialogue is inconsequential to the plot, we'll add it! You will receive all previous non-limited rewards as well. Design a playable side-character! Flamberge has a large cast of characters to use in battles, and we will work with you to bring yours to life. You can also help us design a unique ability for them (same rules as the ability reward tier).